Thieves cut through a lock to steal a mountain bike chained up outside a supermarket in Scarborough. The GT mountain bike was taken from Sainsbury’s on Falsgrave Road at some time between noon and 9pm on Thursday, October 4. North Yorkshire Police today released a photograph of a similar bike as they appealed for information on the theft. A spokesman said: "The photograph shows a bike of the same model. The only difference is the red crank on the pictured bike is actually black on the stolen bike." 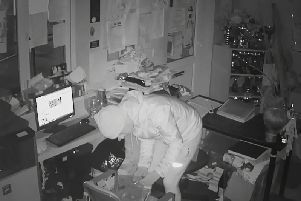 Anyone with information about the theft is asked to email philip.charlton@northyorkshire.pnn.police.uk or contact PC Phil Charlton by dialling 101 and selecting option 2. Please quote the North Yorkshire Police reference number 12180186255.